1990. The BCRF team consists of world class explorers, scientists and educators. Our collective efforts have supplied the Bahamian Government and international scientific community with more data than all other related research groups combined. Our nearly 20 year presence in the Bahamas and commitment to our mission has created a mutually beneficial working relationship with various Minisitries within the Government of the Bahamas. Our team continues to push further into the Bahamian underground, exploring where no humans have ever been, and making discoveries that are forever changing what is known about the islands of the Bahamas, past, present and future. The BCRF provides accurate, cutting edge research on Bahamian blue holes, underwater caves and terrestrial caves, and distributes that information to local and international scientific, governmental and educational institutions. The BCRF will become the liaison between the international scientific community and regulating bodies of the Bahamian Government in order to broker viable, research-based decisions for the conservation and preservation of Bahamian underground environments. 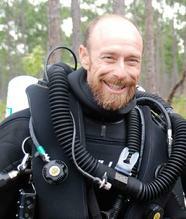 Brian is a former U.S. Navy Diver with 29 years of professional diving experience. His work has taken him beneath nuclear submarines and aircraft carriers, to jumping from helicopters into 10 foot seas, to record penetrations of underwater cave systems around the world. His research diving work with various governmental and scientific institutions has revealed new species of cave adapted marine life, as well as the discovery of fossils that are now repainting the picture of the Bahamas past environment. His expertise in diving safety has been used widely in the feature film industry as a Diving Safety Officer and underwater stuntman. With more than 3000 exploration cave dives, Brian is considered one of the leading authorities on the underwater/underground environments of the Bahamas and is a veteran of multiple high profile underwater cave expeditions in the Bahamas, Mexico, Bermuda, Dominican Republic, Australia and the U.S.
Nancy Albury lives on Abaco Island and is the branch manager and curator of Paleontology for the National Museum of The Bahamas. She has been the coordinator of the Sawmill Sink Fossil Project since its inception in 2005 when she organized scientists, divers, the Bahamian government, and local NGOs as partners in the study of Bahamian fossils and the associated blue hole and cave environments. Albury studied technical illustrating at the Art Institute of Fort Lauderdale, received a B.F.A. in Graphic Design (Jacksonville University), and a M.S. in Geosciences (Mississippi State University). A passionate dry caver since childhood, Nancy began cave diving in 1974. She assists in underwater and dry cave exploration and excavations, and conducts research in Bahamian paleontology and taphonomic processes that are responsible for the exceptional fossil preservation in blue holes. Ultimately her goals are to establish governmental conservation priorities for blue holes and caves and increase public awareness of these fragile ecosystems. Kenneth Broad receive his Ph.D. in anthropology from Columbia University in 1999 and is an associate professor in the Division of Marine Affairs and Policy and the Center for Ecosystem Science and Policy at the University of Miami's Rosentiel School of Marine and Atmospheric Science. He holds a joint appointment at Columbia University's Lamont-Doherty Earth Observatory, is a co-director of the Center for Research on Environmental Decisions based at Columbia University, and is a member of the NOAA Science Advisory Board (Climate and Global Change Working Group). Working in the United States, Latin America and the Caribbean, Broad studies climate impacts and human perception, the use and misuse of scientific information, decision making under uncertainty, ecosystem based management and issues of societal equity. For the past five years, Broad has been conducting research in the Bahamas that addresses human-environmental interaction and marine reserve network design. In addition to extensive cave exploration in the Bahamas, Broad has participated in and led scientific and film expeditions around the globe, including the exploration of one of the world's deepest caves in Mexico's Huautla Plateau. Broad was selected for the 2006 National Geographic Society Emerging Explorer award. Dr. Keith L. Tinker has served as Director of the National Museum of the Bahamas, The Antiquities, Monuments and Museums Corporation, the principal heritage and conservation agency in The Commonwealth of the Bahamas, since it�s inception in 1999. He is the Executive Secretary and board member of the Clifton Heritage Authority, and partners with many local and international affiliates in the areas of preservation, conservation, history, archaeology, scientific research, and cultural heritage. Keith Tinker earned his B.Ed. from the West Indies College 1977, B.A. in History (Palm Beach Atlantic University, 1979), M.A. in History (Florida Atlantic University, 1982), and a Ph.D in History and Historical Administration (Florida State University, 1998). In addition to his responsibilities as Director of the Corporation, he is a historian and educator, he lectures at The College of the Bahamas, and has written and presented numerous research papers on a variety of topics. 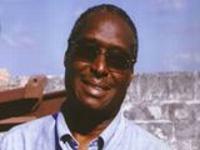 He is keenly interested in the history of the Caribbean and the Bahamas in particular; the protection of underwater cultural heritage and underwater archaeology in the Bahamas; perspectives on Bahamian architectural significance in preservation; cultural heritage and the part that the Antiquities, Monuments and Museums Corporation plays in scientific research in the Bahamas. Dr. Iliffe was born in Erie, Pennsylvania. He earned degrees in Biochemistry and Oceanography at Penn State, Florida State and the University of Texas Medical Branch. Prior to coming to Texas A&M University at Galveston, Tom worked for 11 years as a Research Scientist at the Bermuda Biological Station. It was in Bermuda that he became interested in marine cave biology. On this relatively small, low lying island, all its numerous limestone caves are close to the sea. In their interior, these caves contain tidal, saltwater pools inhabited by a great variety of crustaceans and other marine animals that are found only in this environment. Diving explorations of Bermuda caves resulted in the discovery of more than 200 species, 70 of which were new to science. Tom has led many expeditions worldwide to study and collect animals from underwater caves. Tom is currently a Professor of Marine Biology at Texas A&M University at Galveston where he teaches courses in Biospeleology, Scientific Diving and Tropical Marine Ecology.